Hey my readers!!! 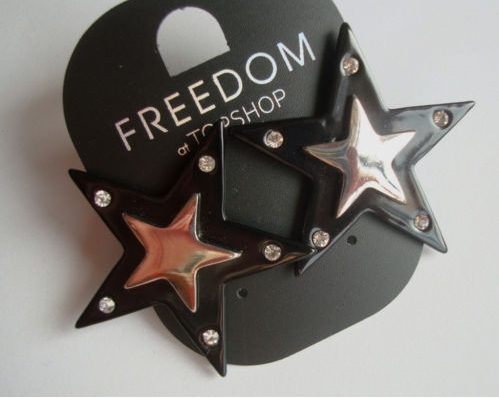 These are my new star earrings from Topshop!!! A closer look of them in the second picture. They have arrived a few minutes ago. Love shopping things online because when those things arrive at your home they're like a present. XMAS PRESENT!! I'll wear them at New Year's Eve. great photos, i really love them! oohh i'm absolutely loving these earrings! so pretty and funky, great for a new years eve party!! :) enjoy them! i love your blog, i am now following :D i hope you can follow my blog, too! we're having a tory burch giveaway, hope you can enter!! lovely earrings! i wish i had them too!